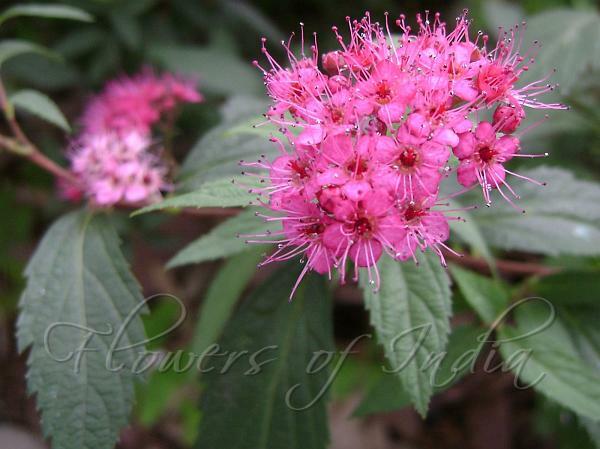 Japanese spirea is an erect, multi-stemmed deciduous shrub that grows up to 2-6 ft tall with a similar spread. The slender reddish brown stems may be hairy or smooth. Alternately arrange ovate-lanceolate leaves are 1-3 inches long and usually paler on their undersides. The leaves have toothed margins, wedge-shaped bases, and pointed tips. Pink flowers are borne in flat-topped clusters at the tips of the slender branches. The shades of pink vary from plant to plant. It is grown as a garden plant, and numerous cultivars exist. 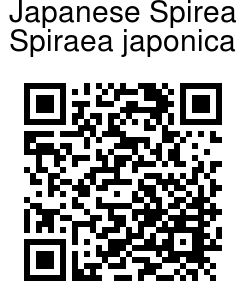 Japanese spirea comes from Japan. It also is considered native to Korea and China.